Troy Stevenson joined Uber in 2016 and he is the VP & Global Head of Community Operations at Uber. Previously, Troy led functions related to customer experience, support, insights and strategy at eBay and Charles Schwab. He began his career with the Boston Consulting Group, where he spent six years in BCG’s Chicago and New Zealand offices. He holds an MBA from the Wharton School and a BA from Northwestern University. 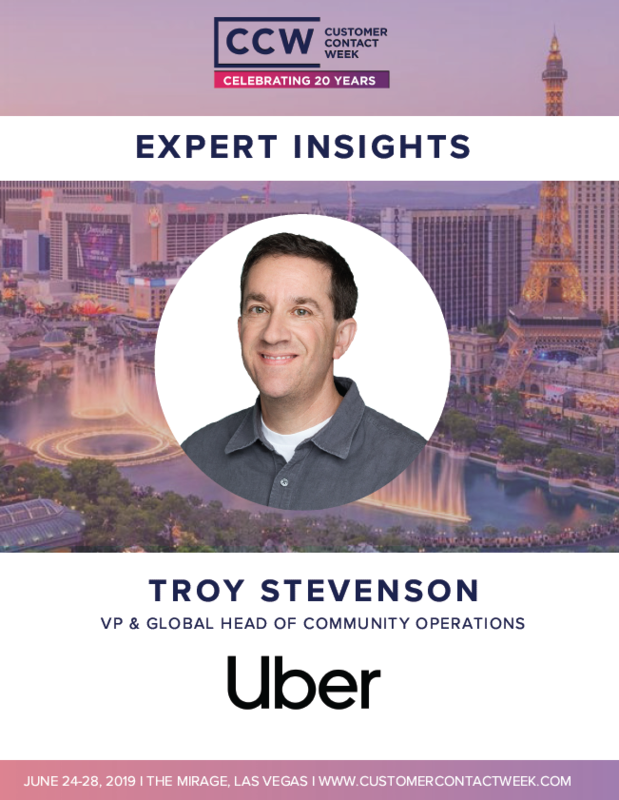 In this speaker spotlight feature, Troy shares his responsibilities at Uber, sheds light on the importance of understanding their customers and explains the why behind their massive global transition to become a customer-centric organization rather than a transactional-focused organization. If you would like a copy of the interview sent directly to you, email us here.